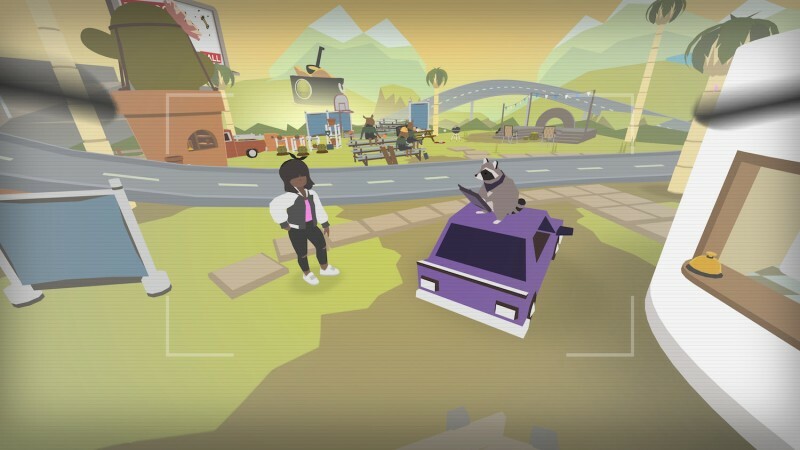 If some strange person were to run up to you on the street and feverishly ask you to explain what an indie game is, Donut County might be the perfect example to offer that weirdo. 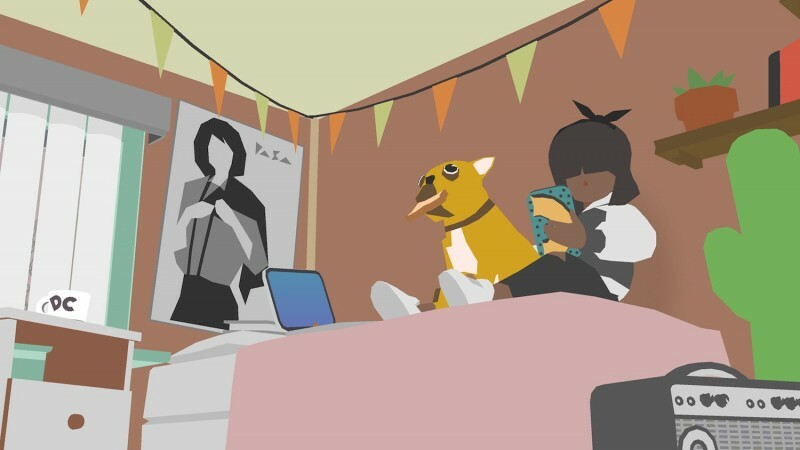 The experience is built around a bizarre (but easy-to-understand) mechanic, and it’s all wrapped up in a quirky story that you can finish in one memorable-but-strange sitting. 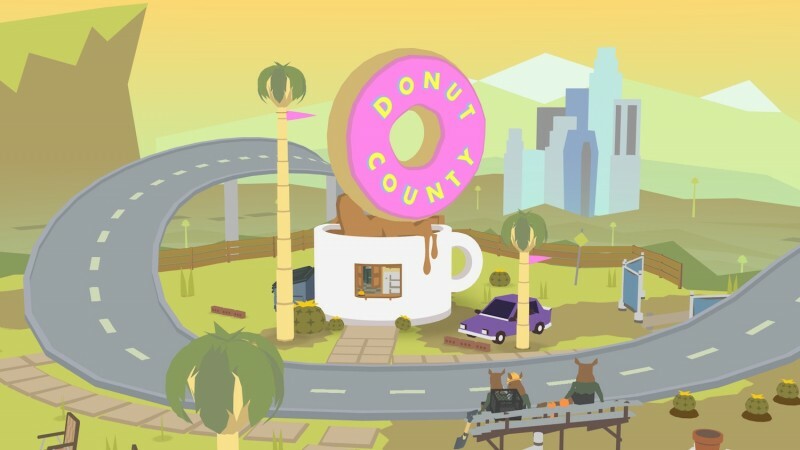 In Donut County, you control a hole. 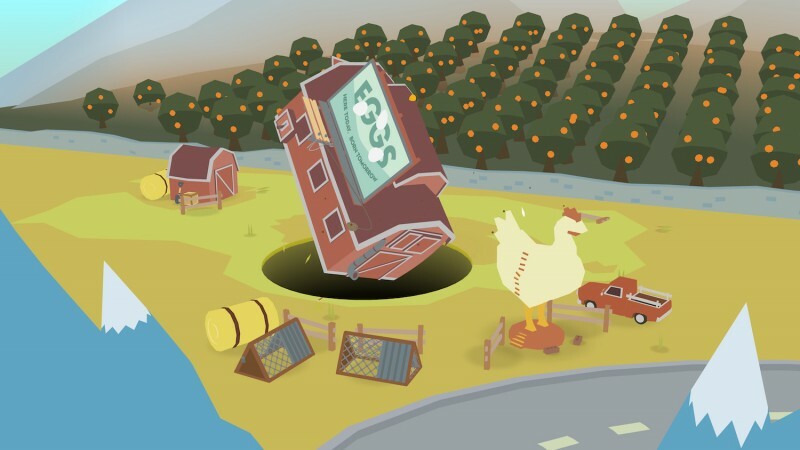 You move the hole along the ground, placing it below assorted objects and creatures so they fall in. As you swallow more objects, the hole gets larger, allowing you to eat up bigger objects. 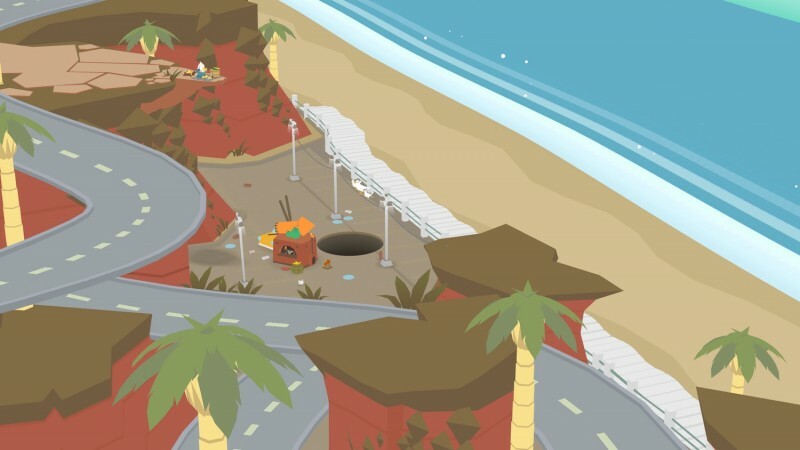 You may start by dropping rocks and traffic cones into your pit, but by the end of the level, you are large enough to take down entire buildings. 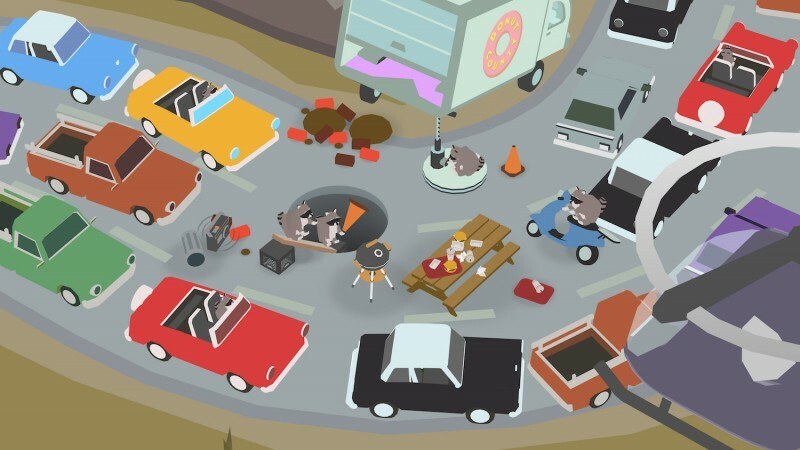 The act of being a nuisance to the folks of Donut County by dropping their assorted possessions into the hole in order to progressively increase your ability to be obnoxious is a malicious joy. 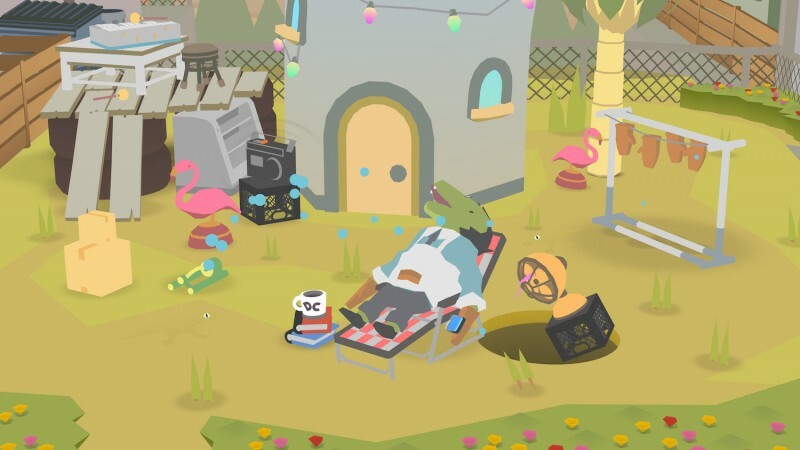 Comparisons can be drawn between Donut County and Katamari Damacy (which is about gathering junk with an ever-growing sticky ball), and though Donut County never reaches the same heights, I felt many of the same joyous emotions while playing. 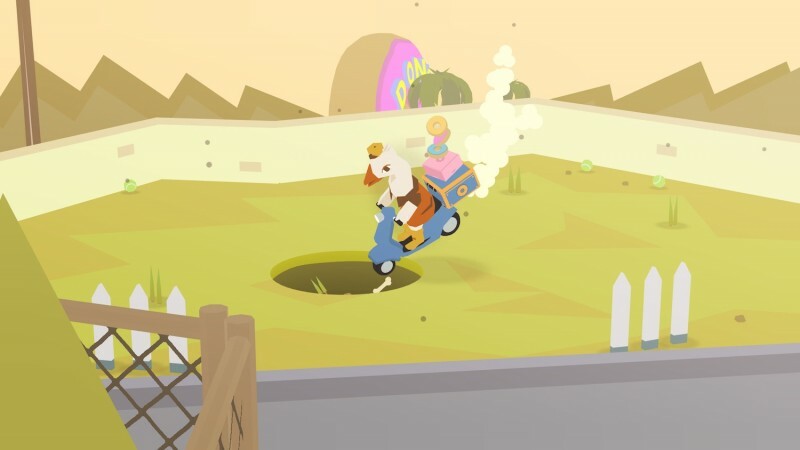 Dropping things into a seemingly bottomless hole is fun on its own, but your abilities expand as you progress, opening the doors for some interesting puzzles. You learn to launch objects back out of the hole to hit switches or knock things off of shelves, and you can fill the hole with water to short electrical wires. 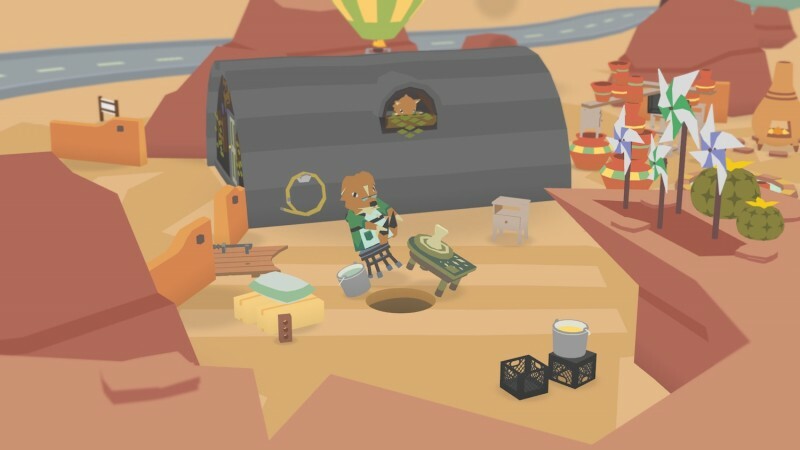 None of the puzzles are challenging, but figuring out how to use a hole to do odd tasks like mix soup inside of it while avoiding hungry bugs offers a pleasant-but-simple sense of achievement. 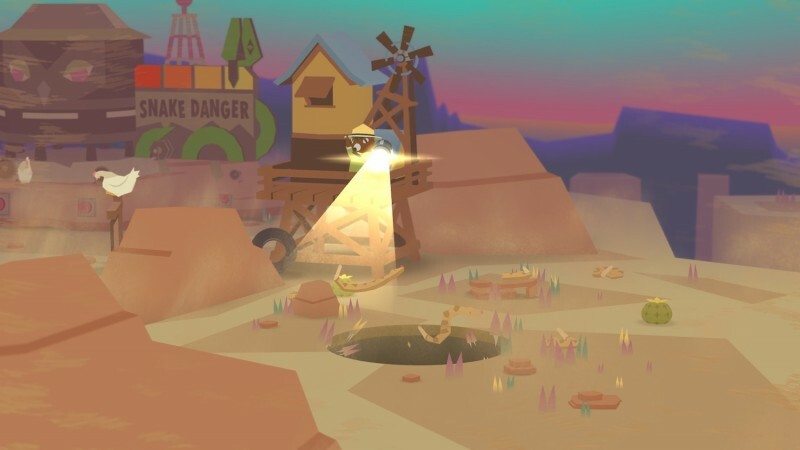 It also ensures that each level feels like a separate little adventure. In tandem with the weird premise is a story with a cast of characters individually affected by the hole. 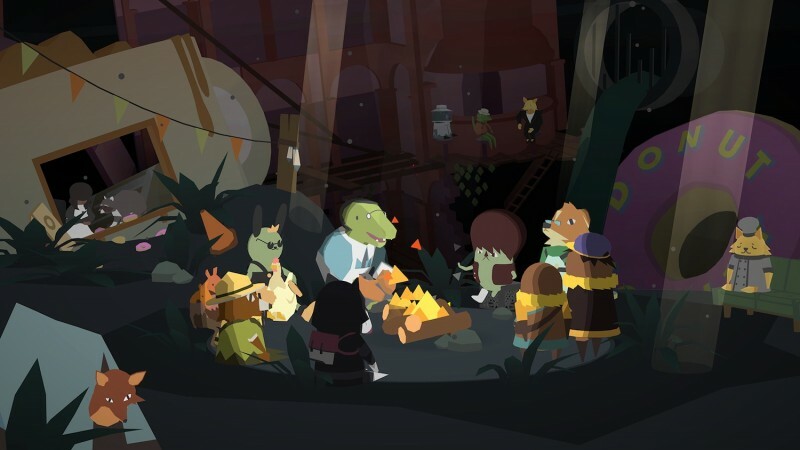 Each level is flanked by a short dialogue amongst the group who are trying to escape the underground they have fallen into. 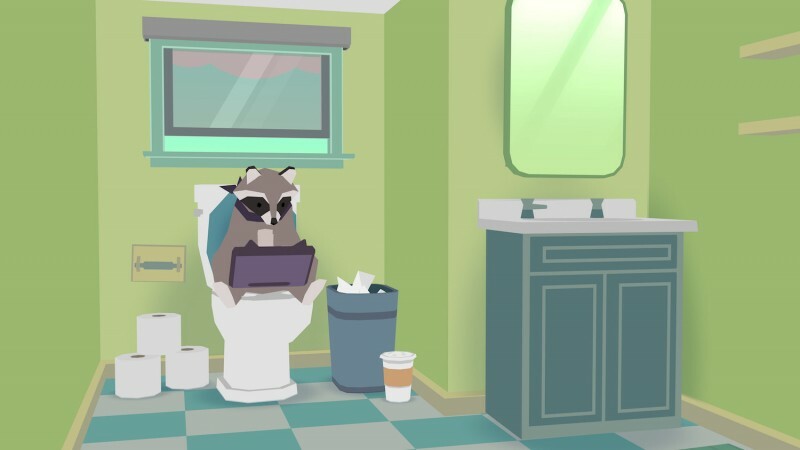 The clear blame for the hole calamity belongs with BK the raccoon, who casually tries to defend himself to the angry group, leading to some funny conversations. The finale also mixes up the formula in a climactic way I won’t spoil, but is fun to play and a nice resolution to the story. 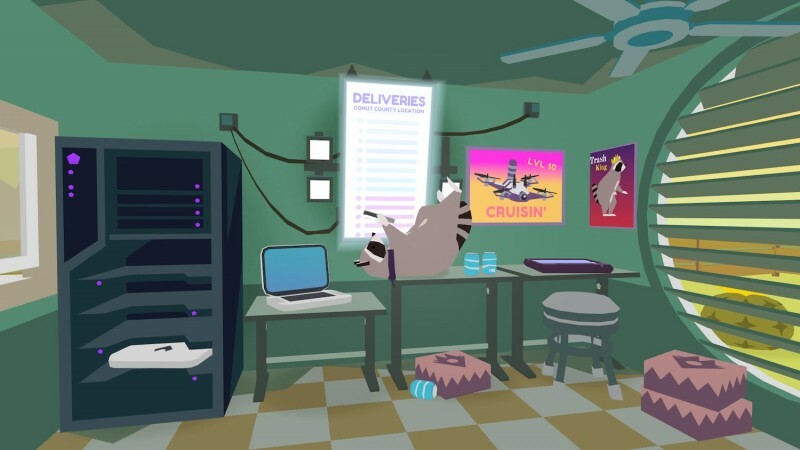 Donut County is a short experience, clocking in at about two hours, but it’s a lean two hours free of extraneous gameplay. I enjoyed every level, but the lack of depth means the goofy premise of sucking a town underground piece by piece doesn’t feel fully explored by the end. I wanted to use the hole in larger locations and use its excellent physics to solve more complicated puzzles. 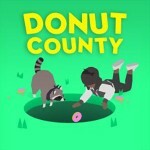 Even if its ambitions are straightforward, Donut County offers a unique experience that is silly, easy to understand, and fun to play.